Most people associate “effective communication” with making themselves understood accurately when speaking to others. Information out is certainly an integral part of communication, but information in is just as important. In the business world, listening – information in – is particularly important for leaders. 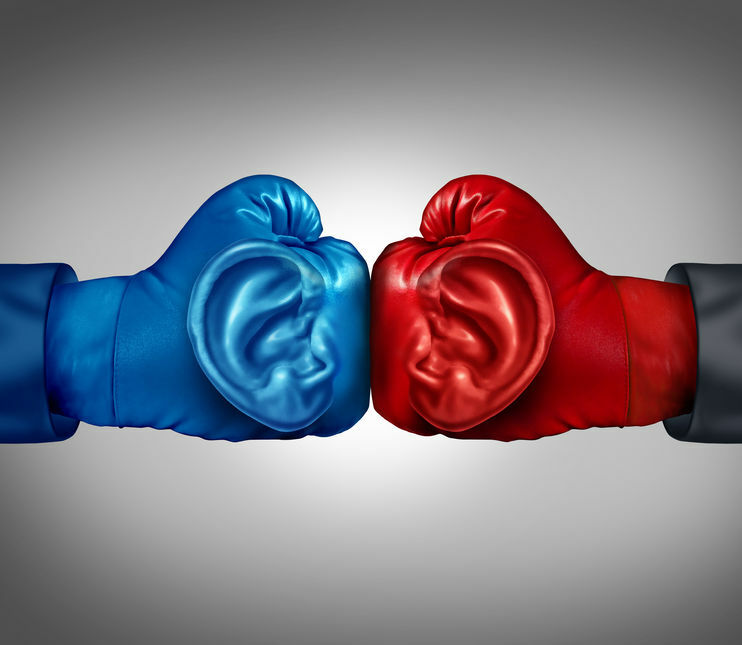 At every level of a company, whether an individual is a team leader, upper management, or the CEO, their effectiveness relies heavily on their ability to listen effectively. A leader who is not willing or able to hear and understand their colleagues or clients, constrains their personal growth and success, the growth and success of those around them and the business as a whole. Think about it: a leader who is not listening to the team is essentially a dictator or clueless! And while a dictator may be able to accomplish certain things short term, they eventually become consumed with enforcing their will through fear and strong-arm tactics. Not exactly the recipe for a healthy and productive work atmosphere! Leaders are problem-solvers. How can you solve a problem if you don’t know it exists? Leaders are encouragers. How can you encourage an individual or a team if you don’t know their challenges? Leaders are mentors. How can you mentor someone whose aspirations, goals and personal trials remain a mystery to you? Leaders set the standard. How can you help others reach that standard if you don’t know where they’re starting from or the skills they need to develop? Leaders empower others to achieve goals. How can you empower someone if you don’t know what motivates them? Leaders create the vision and drive strategy. How can you know of it’s likely success if you don’t hear the feedback? This kind of active, all-in listening is what we at Third Level call “Power Listening.” Power Listening is one of the skills we teach clients, and it’s a tool we’ve seen transform leaders and businesses time and time again. Power Listening is characterized by a lack of self; by listening at a deeper level than normal conversation, utilizing all of the senses as a neutral receiver instead of projecting preconceptions onto the speaker. This technique gives businesses a competitive advantage, and leaders an effective tool for building trust and loyalty between themselves and their team. Interested in learning more about Power Listening? Click below or contact us at Info@ThirdLevel.com. Click here for more information on Power Listening and how it will transform your team.